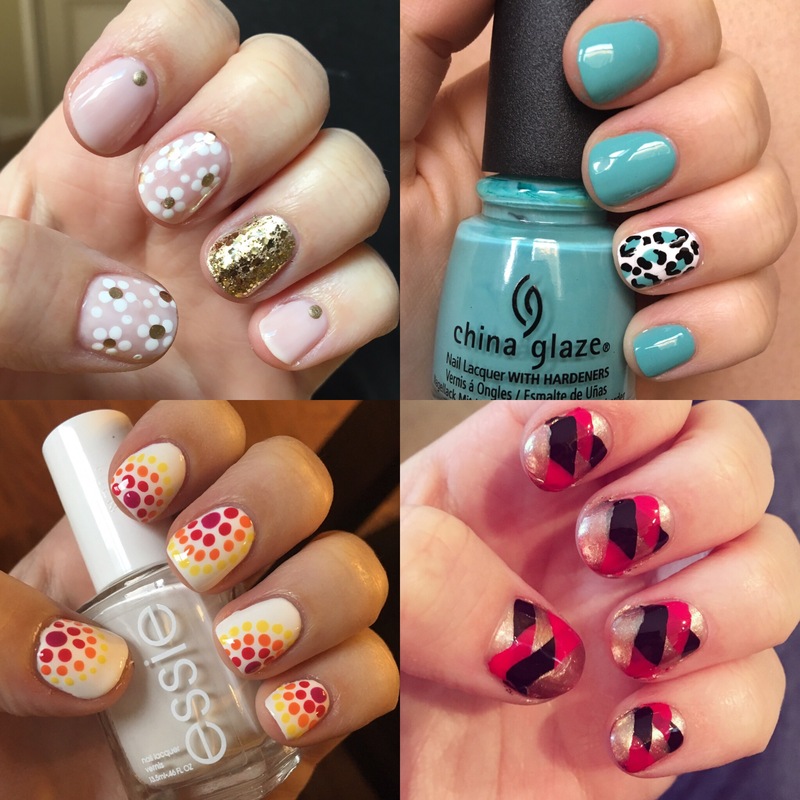 Easy nail art ideas – no tools needed! I’ve recently gotten really into nail art. A month or two ago, I was looking up nail salons in my area, and saw that a gel manicure is $30! And that’s just plain polish. If you want anything remotely fancy, it would be closer to $40. And that’s before tipping. So I took to the Internet and looked up easy nail art tutorials. I found a really great playlist on YouTube by Jenny Claire Fox: Easy Nail Art For Beginners. For most of these designs, I used dotting tools I bought from Amazon. But you don’t need dotting tools!! You can use toothpicks, Bobby pins, the end of a small makeup brush, pretty much anything that you have that has a round point will work! 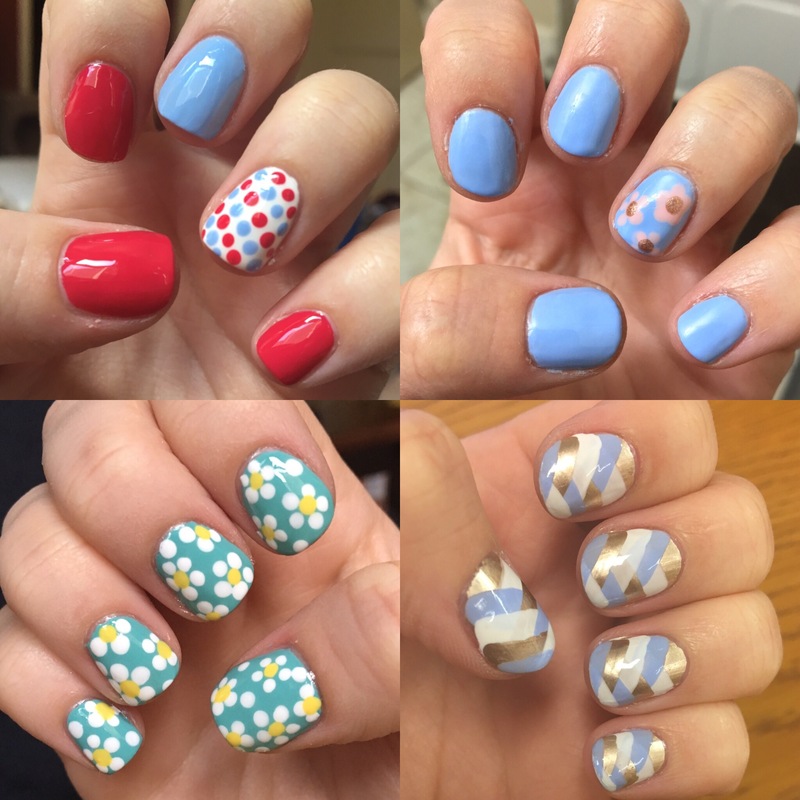 Nail art is super fun and can save a lot of money if you’re someone who is into having nice nails. Once you have a nice range of polish colors you’re set for a long time! I love nail art! I seem to be too impatient but I want to try it soon! I’ve heard the dotting tool is key! It is really helpful and super cheap! Beautiful! I really love the dots on white.